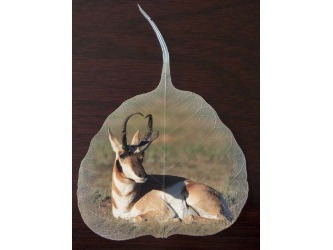 Natural leaf carving is actual manual cutting and removal of a leaf's surface to produce an art work on a leaf. 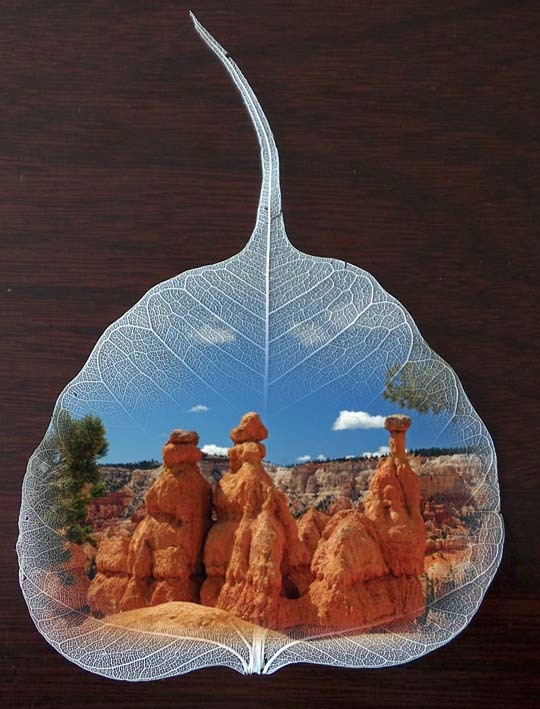 The process of carving is performed by artists using tools to carefully the surface without cutting or removing the veins. 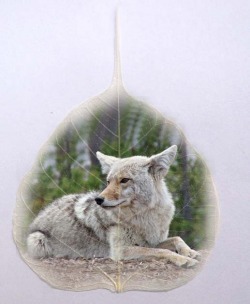 The veins add detail into the subject matter of the carving. 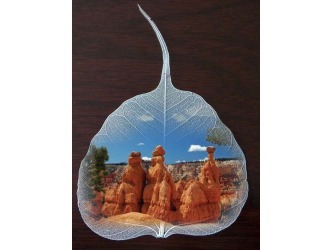 Leaf Carvings, are exceeding all expectations in popularity. 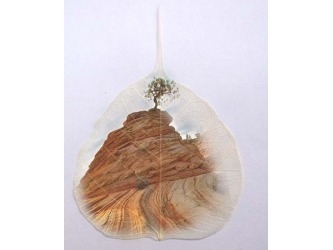 Carved from an actual leaf which has been dried and cured, Leaf Carvings come in various subject matter. 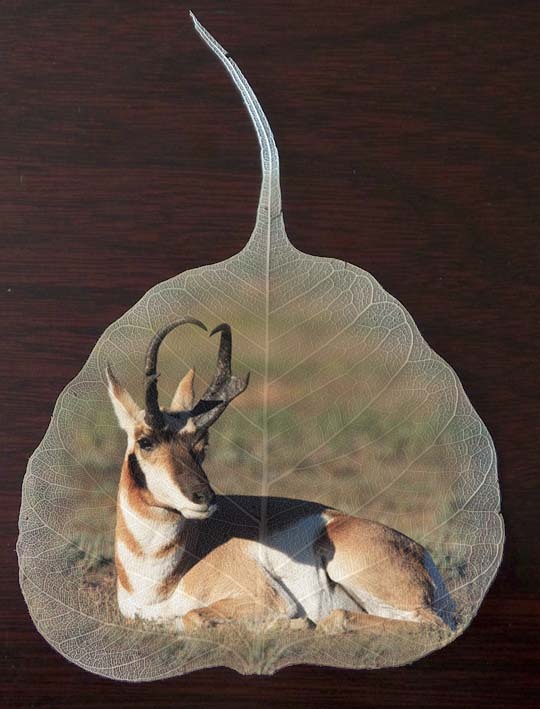 "Amazing," "Beautiful," are the words first heard from our customers who purchased one of these. 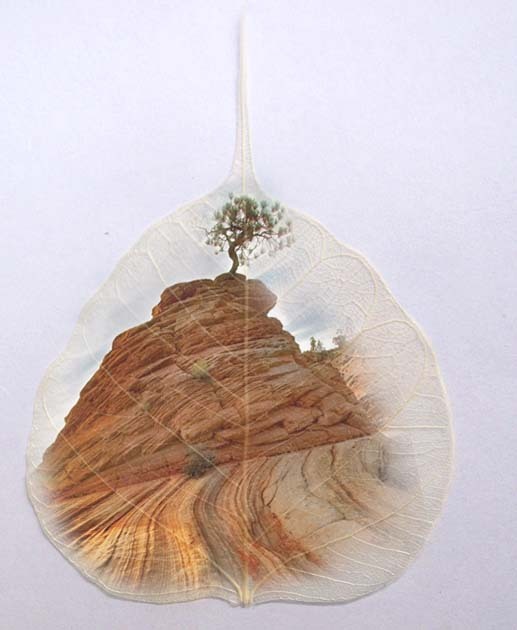 Paintings and pringtings on based on natural leaf veins. 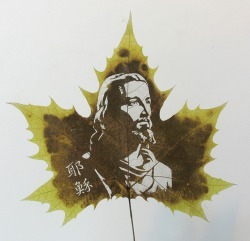 No initial set up fee for a custom-made leaf painting.